Applying the false eyelashes should start either at the very end of all makeup application or the end of eye makeup application. First measure the trim the false lash band (strip) if necessary. Next, apply quality false lash glue to the lash band. Use tweezers to hold your falsies and start in the middle of the eyelash, and place the false lashes down just above your lash line. Open your eye and use the tweezers to position the corners of the lash band to match the shape of your eye. 1. Before you apply, make sure your eyelids are free of oils. Try using a oil-free facewash or astringent toner with a cotton ball to remove all traces of oil after cleansing. 2. To start the process you have to apply the adhesive first. Apply quality adhesive such as DUO Brush On Striplash Adhesive (0.18oz) along the rim of the false eyelash for look closest to perfection. Let it air dry for about 20 seconds for the adhesive to get tacky so you don't end up with a mess of extra running glue on the skin of the eye or over the false eyelashes. 3. 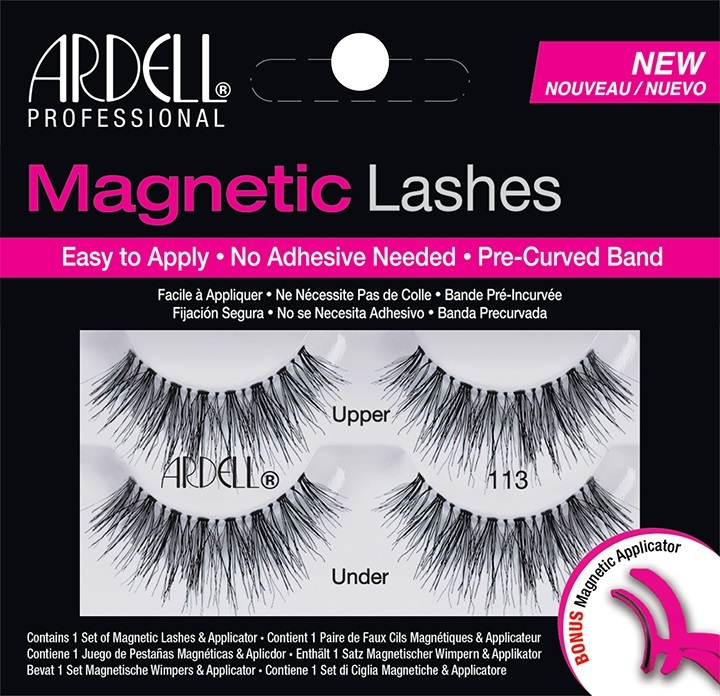 Align your Ardell #113 false lashes gently to cover over your natural lashes and gently press them together. Make sure not to put mascara on your natural lash beforehand. 4. Once done you can apply mascara on your lashes but do it from underneath your natural lashes only by wiggling the lashes. Then go back and gently press them again. 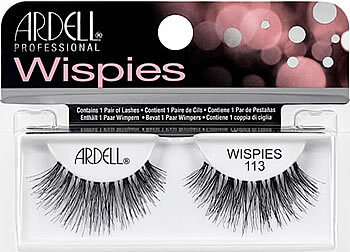 The mascara should help blend in your natural and false lashes seamlessly. 5. Then touch up the lashes again if needed with more mascara until you get the look you desire.